about her debut single, White Picket Fence, and the story behind it. The Northern Irish artist resides in New York and I ask what compelled that move; whether she is looking ahead to future material and what sort of music she grew up around. Harte reveals some rising artists worth a look; if there are any gigs booked; whether we might see her back in the U.K. soon, playing; the advice she would give to artists coming through – she ends the interview by selecting a great song. Hi, Fiona. How are you? How has your week been? Hey, Sam. It’s been great! My first-ever single just came out today so it’s been busy but exciting. Sure. I am from Ireland but currently based in New York. I moved over here to pursue music and have been trying to play as many shows as possible. I play guitar and my music is quite stripped back – ‘Acoustic singer-songwriter-style’ I would say. White Picket Fence is your debut single. What can you reveal about the song’s story and how it came together? I wrote the song after listening to a friend talk about a really crappy relationship she was in. I could sympathize with her from my own experience and the song was written within about an hour after she left my apartment. I wrote it on the balcony of the apartment I lived in in Dublin at the time. The song focuses on how your desired person can control your emotions by doing so little. Even though the song portrays as sad, it refers to having hope; perhaps for that love or another. How does it feel knowing the song is out? Are you already looking ahead to new material? It feels great – I can finally say I am an artist! I’ve taken my time recording a lot of stuff and waiting for the right time. This feels really right now. I am absolutely looking into my next release. I have started planning it already – it should be out before Christmas (smiles). I love poetic lyrics, so a lot of Joni Mitchell and Carole King. I currently listen to a range of stuff. More recently, I have been listening to Jorja Smith, Daniel Ceaser; August Greene, stuff like that. An artist I love at the moment is Bruno Major. You are from Northern Ireland but based in New York. How inspiring is New York regarding your songwriting and creativity? New York is incredibly inspiring to me and always has been. I love it here. The only thing I find, sometimes, is it gives me so much to write about but so little time to write! I feel like I am always running somewhere in this city. I would love to have another single released and play as many shows as possible. Yea. I think it was playing The Bluebird Cafe in Nashville. I have never been so nervous. The guys (in) In the Round were insanely talented and the audience really does not make a sound! It was a really magical night for me. Which three albums mean the most to each of you would you say (and why)? It reminds me of when I first fell in love with music and writing. It’s an album I compare everything I do to, in order to get the best out of my own work. It will never be near that level (laughs) but I do always think of it after I complete something. I don’t know why. I just think it’s one of the most beautiful albums ever written. The production is incredible and I have always been a fan. My mum always played it and it always reminds me of her. Great songs, too! I would love love, love to support Frank Ocean. He’s one of my favourite writers! Rider. Haha. Maybe Milanos and Cab Sav (laughs). I just played The Bitter End last night and have a Sofar Sounds on 27th September. After that, I will be doing a few shows in Ireland. Tour is on the cards; possibly 2019. Do you think you’ll be back in the U.K. to perform at some point? Yes. Sooner rather than later. I have a trip planned there for November. I am still learning a lot but what I really became aware of recently is how I should always stick to my gut feeling. If something doesn’t feel right, it probably isn’t. And, always be in control of the creative/release process as much as you can. It’s so important to be happy with what you put out. Yes. 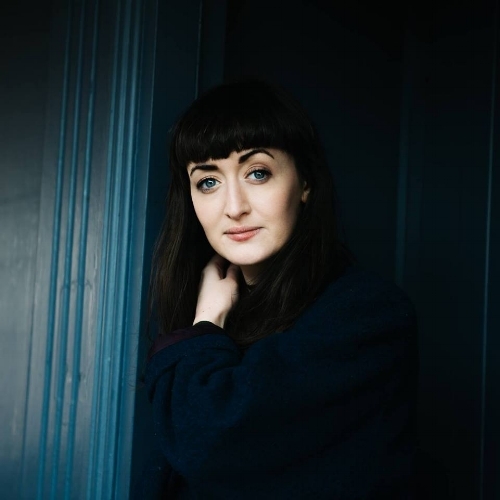 I love an Irish singer called Maria Kelly – her songs are amazing. And, also, a New York-based band called the Newcomers Club. I do. I kind of go through phases of writing a lot and then not very much. I was trying to write a song every day for the past while. Right now, I am going through recordings of all my songs and re-writing which is fun. I just meet up with my Irish friends and go to the pub to unwind!